June and July books have been a mixed bag for me so far! I've loved some, but others... not so much. Release Date: June 19th, 2018! This book was just so AWKWARD. 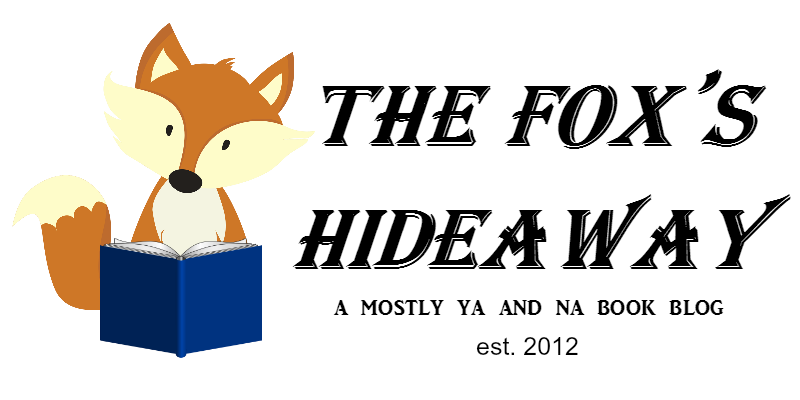 The writing was not… good, and it didn’t always seem to fit in with the characters and time period. And oh god, the characters. Maybe it’s because I don’t know the history of Mary Reade, Anne Bonny, and Calico Jack that well, but their story just never seemed to blend well together. I mean, they spent the first 50% of the book on one damned island, doing nothing but drinking, cleaning the ship, and getting into fights. And I thought the romance between Mary and Anne developed fast and didn’t feel very organic, and there was a lot of drama created because of it with Jack and the rest of the pirates. The book was weirdly paced in general, and I didn’t think it needed the past chapters with Nat at all (though if this is part of Mary’s true-life story, then I guess, but I wouldn’t know that). The confusion Mary felt over who she was felt realistic given that she’s lived as a boy since she was a kid, but I can’t speak on whether it was problematic or not. So yeah, there was just a lot about this that seemed off, and while I loved that ending, I was wholly hoping to love this f/f story but didn’t. 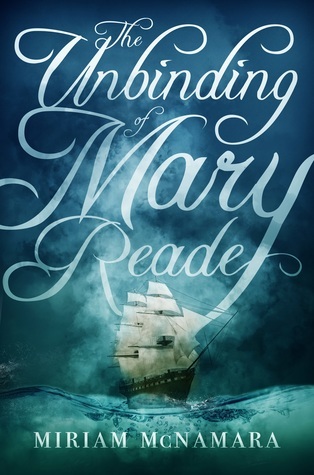 The Unbinding of Mary Reade was one of my most anticipated novels of this year, and boy did it disappoint me greatly. I’m so SAD. Release Date: June 5th, 2018! Release Date: July 31st, 2018! I wasn't expecting to finish this today, but the book was so readable, even if there wasn't as much action or exciting plots. It's on the quieter side, more about finding your strength and your lines and having faith in who you are even when everyone is telling you that what you think and believe is wrong. It was about two sisters whose worlds are turned upside-down. They're both thrown into lives that are the complete opposites of all they'd been taught and raised to be, but the two of them are fighters. And they love each other so much that they're willing to do almost anything to save the other. I loved their relationship, the complicated-ness of it just felt real and genuine, and so did how they just wanted each other to be safe and happy even when it directly conflicted with their own predicaments. I wasn't as sold on the romances. I just didn't CARE enough, and I was more invested in the sisters' love, and in these groups of women who have learned to survive in a society that hates them and turns them into competitors. It was very feminist at its core. The world-building wasn't as good as it could have been, but I still really enjoyed it. It's like a futuristic Italy. And I'm definitely looking forward to the sequel! 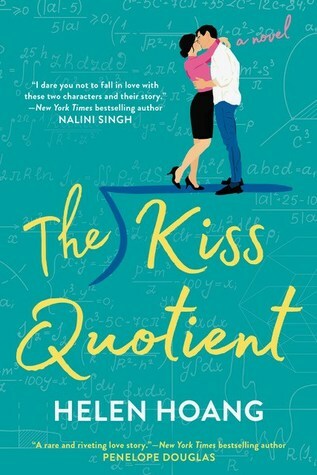 Release Date: July 17th, 2018! Release Date: July 12th, 2018! But the world I wanted wasn't the world I lived in, and if I would do nothing until I could repair every terrible thing at once, I would do nothing forever. MAN. What a story! 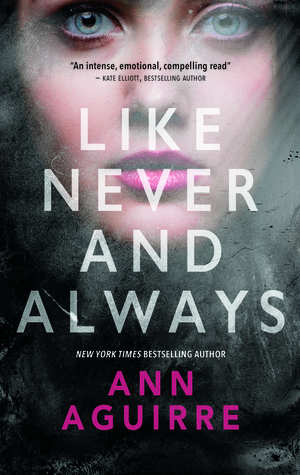 I didn't love it like I love Uprooted, but it was *so* good! I really came to care and love the characters, all of them, not just the main ones. And I cared about what would happen to them. This was a found family, of sorts, which is one of my favorite tropes, and I thought it worked SO well here. I just found the change-up in POVs startling sometimes, and it took me a minute to figure out who was speaking. And there wasn't really any romance? Which made me sad, even when I understood and was satisfied with the results. But yeah, like as I was reading this, I kept setting it aside and going slowly and I wasn't at all sure about it at some points. 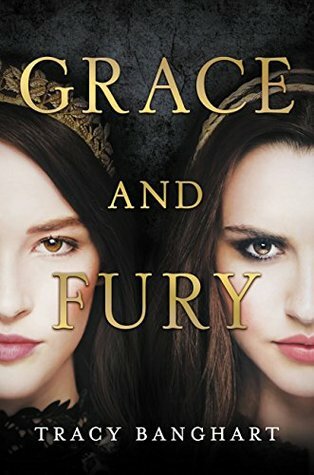 By the end, though, I was pretty in love with how everything came together, and how the little pieces fit into the overall plot, and the way that two queens made bargains and stepped into other worlds and saved multiple kingdoms. They were fierce and cold, and they would have nothing less than what they deserved and wanted. omg I loved the girls so much. 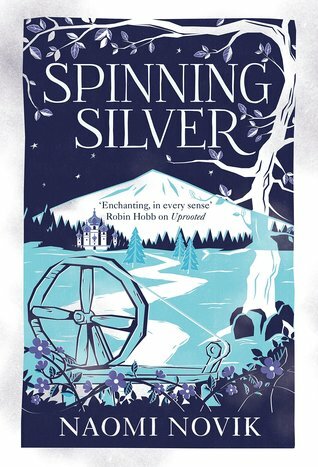 Spinning Silver was, in a word, a fairytale, about debts and love and the line connecting them.